dbclunie: MINIONS! 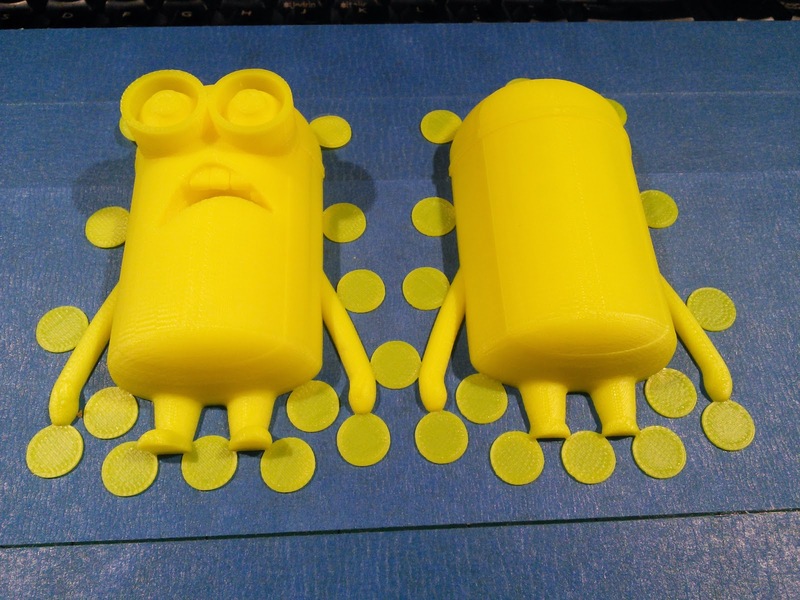 - .3 mm nozzle Yellow ABS Minions! MINIONS! - .3 mm nozzle Yellow ABS Minions! I've finally got my 3d printer back up and running, well at least one print head for now, still have to trouble shoot the 2nd print head so for now unwired and disabled in the software. Since the holidays are upon us and I've got gifts and presents for friends to get out the door, this is what was currently on the print bed! 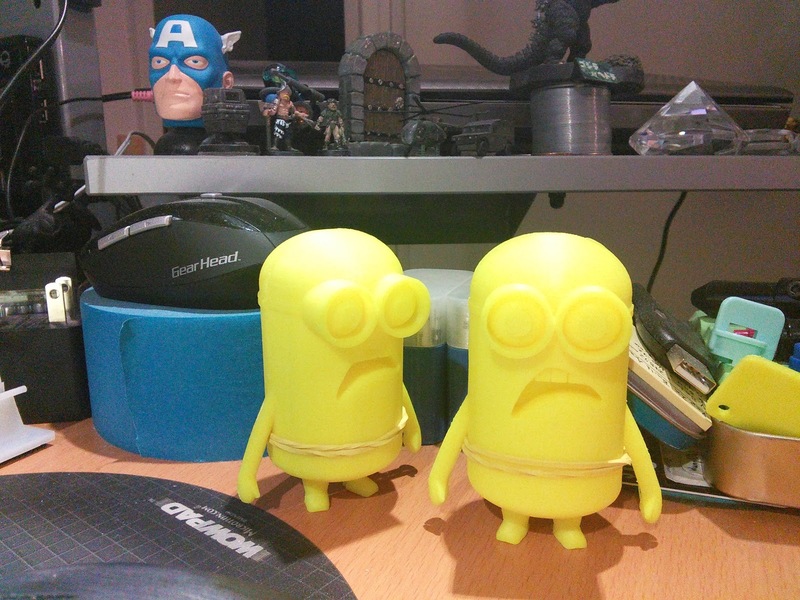 Its the minions from the movie Despicable Me in all they're yellow glory! 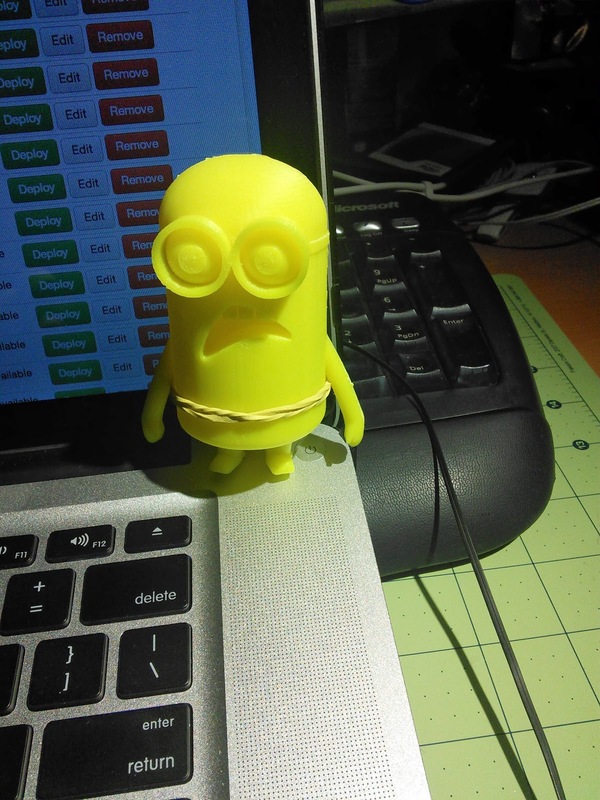 This was a print using embeddedjunkie http://www.thingiverse.com/thing:179106 various minion faces print. I initially was printing these with helper disks, however even with the multitude of disks I still was getting warpage. So instead i resorted to using the standard raft and was pleasantly surprised that the warpage was much less. I've got all of the various minions printed out now and they're being sanded and glued up and possibly more accessories to come for them, which I may post here.